The Dennis K. Walker Greenhouse is located on the Humboldt State University campus. It was opened in 1982. 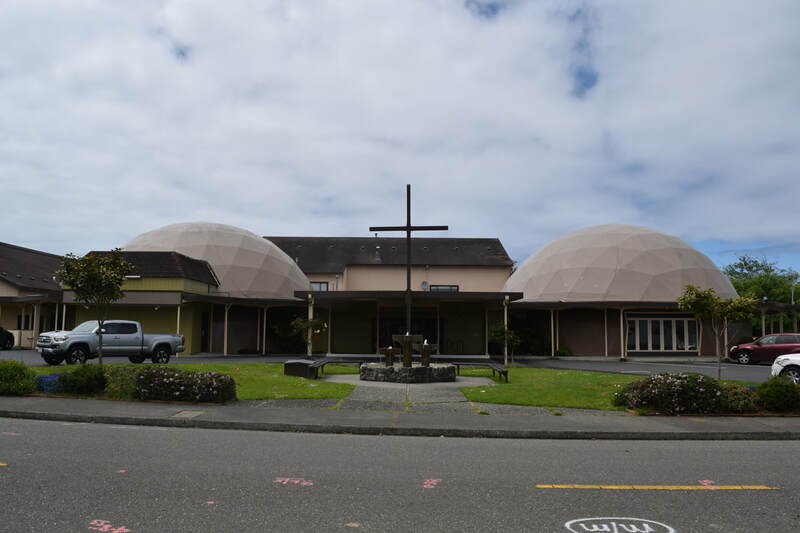 Faith Center Foursquare Church on Bay Street, Eureka has two connected domes. 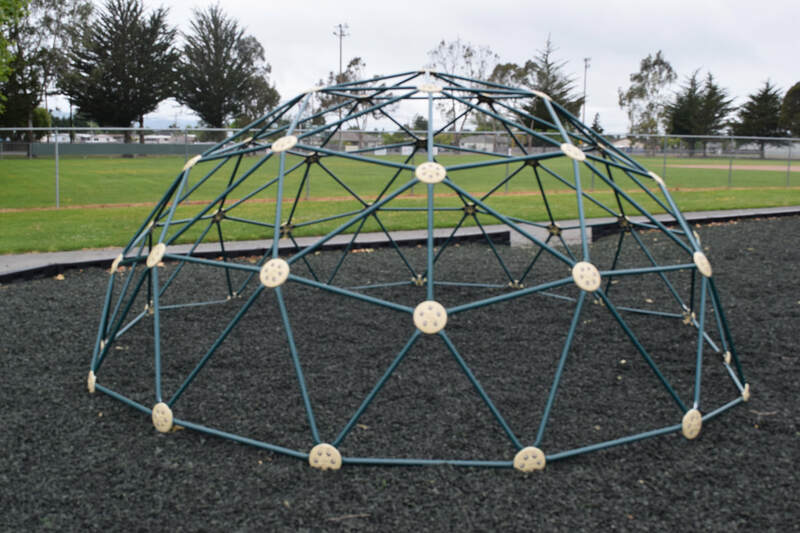 The play structure is in Newburg Park, Fortuna. 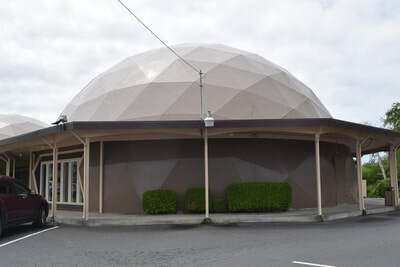 There are also geodesic dome homes in Fortuna, Eureka and Arcata. Walther Bauersfeld designed the first geodesic domes for Zeiss Optical shortly after World War I. . The first dome was built on the Zeiss Optical plant in Jena, Germany. R. Buckminster Fuller patented the design in the US in 1954 and greatly popularized the design around the world. The strength of the design lies in the multiple interlocking triangles.